NYT bestselling author Angela Duckworth also wrote a book about that. After interviewing dozens of high achievers, her conclusion is that effort counts twice as much as talent. In fact, research suggests that talent is determined far less by our genes and far more by our actions. We presume that the surest sign of talent is early, instant, effortless success, i.e., being a prodigy. In fact, a well-established body of research shows that that assumption is false. consistently and overwhelmingly, the evidence showed that experts are always made, not born. did you know that many famous people were considered slow early on? So don’t worry if you don’t have “talent”. The more important the learning is for you, the more you can make permanent change in your brain. if you’re intensely focused on the task and really trying to master something for an important reason, the change experienced will be greater. you learn ten times more in a crisis than during normal times. List at least 3 benefits you’ll gain from learning this new skill. This is called the growth mindset. In fact, research suggests there are two kinds of people. Those with a fixed mindset that do not like effort and feel dumb when they have to work hard. And then those with a growth mindset. Students with a growth mindset, in contrast, value effort; they realize that even geniuses have to work hard to develop their abilities and make their contributions. Here are a few quotes about the growth mindset. Study 1/3 of your time and practice the other 2/3. our brains evolved to learn by doing things, not by hearing about them. This is one of the reasons that, for a lot of skills, it’s much better to spend about two-thirds of your time testing yourself on it rather than absorbing it. it’s better to spend 30 per cent of your time reading it and the other 70 per cent of your time testing yourself on that knowledge. So commit, get involved, touch with your hands, experience, fail and try again. Remember that if you don’t fail, it means you’re not learning. Use the Pareto Principle: the 80/20. The goal is to focus your energy on the 20% of actions that produce 80% of the results. In this video, Josh Kaufman tells us that we need around 20 around hours of deliberate practice to become good at something. By knowing what you’re getting into, learning the fundamentals, practicing intelligently, and developing a practice routine, you’ll make progress more quickly and consistently, and you’ll achieve expert status in record time. In sum, don’t seek perfection now. Focus on mastering the most important tasks first. when you’re struggling, that’s when you’re getting smarter. The more time you spend there, the faster you learn. It’s better to spend a very, very high quality ten minutes, or even ten seconds, than it is to spend a mediocre hour. You want to practice where you are on the edge of your ability, reaching over and over again, making mistakes, failing, realizing those mistakes and reaching again. Deliberate practice means you’re working in the learning zone, aka, the uncomfortable zone. This is also what author Geoff Colvin tells us in his book Talent is Overrated. Only by choosing activities in the learning zone can one make progress. That’s the location of skills and abilities that are just out of reach. We can never make progress in the comfort zone because those are the activities we can already do easily; while panic-zone activities are so hard that we don’t even know how to approach them. Daniel H. Pink, in the book Drive, also has similar thoughts. If you’re too comfortable, you’re not productive. And if you’re too uncomfortable, you’re not productive. there are clear distinctions between what it takes to be decent, what it takes to be good, what it takes to be great, and what it takes to be among the best. What are the steps to do deliberate practice? And remember, yes it’s about working hard, but also working smart and focused. How long should you do deliberate practice? Author Geoff Colvin (Talent Is Overrated) says that ideal sessions for deliberate practice are 60-90 minutes. Neil Starr from the Louisiana State University’s Center for Academic Success says that 30-50 minutes sessions are fine too. Your goal is to create a sense of urgency so that you’re not wasting your time. You can check out the Pomodoro technique. And remember that doing deliberate practice is so hard that you cannot sustain it for too long in a day. Author Cal Newport (Deep Work) says that experts can only do deep work for 4-5 hours per day. When doing deliberate practice (see previous point), you must do only one thing. Research suggests that multitasking will actually increases your study time and lowers your grades. Humans have limitations on their cognitive capacity. Our resources are limited. So the moment we pay attention to one thing, it makes it that much harder for us to process something else. The constant supply of stimulus has the potential to turn us into addicts, always hungering for something new and prefabricated to keep us entertained. When nothing exciting is going on, we might get bored, distracted, separated from the moment. So we look for new entertainment, surf channels, flip through magazines. Still not convinced that monotasking is the way to go? that men and women who frequently used several types of technology at the same time had less grey matter in a key part of the brain. In essence, multi-tasking could shrink your brain! whereby learning is greater when studying is spread out over time, as opposed to studying the same amount of content in a single session. Instead of just reviewing your material, try to recall it. Research suggests that you’ll memorize more if you put book aside and recall everything you can. Active recall – recitation, for instance, or flashcards and other self-quizzing – is the most effective way to inscribe something in long-term memory. The article also says that re-reading is more or less useless. When students repeatedly read something, it falsely inflates their sense of their own learning. Research suggests that it’s better if you take notes with your pencil than your laptop. In three studies, we found that students who took notes on laptops performed worse on conceptual questions than students who took notes longhand. Research suggests you can also imagine you’ll have to teach someone. It will help you organize your thoughts more clearly. Participants expecting to teach produced more complete and better organized free recall of the passage and, in general, correctly answered more questions about the passage than did participants expecting a test. This could explain why older siblings are usually better at school: because they need to explain things to their younger siblings. the actual act of retrieving the information over and over, that’s what makes it retrievable when you need it. But be warned: nobody says learning would be easy. Be ready for a little discomfort when trying to retrieve information from your brain. when interleaving, tennis players might practice forehands, backhands and volleys altogether. Interleaving for musicians could mean practicing scales, arpeggios and chords all in the same session. But why does interleaving works? Interleaving probably works because it forces the mind to work harder. Instead of relying on learning a system and sticking with it, the mind has to keep searching and reaching for solutions. 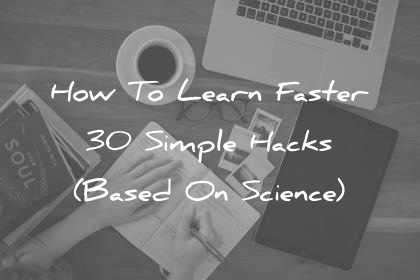 if you practice a slightly modified version of a task you want to master, you actually learn more and faster than if you just keep practicing the exact same thing multiple times in a row. Now, ask yourself how can you change your practice routine slightly. the more regions of the brain that store data about a subject, the more interconnection there is. This redundancy means students will have more opportunities to pull up all of those related bits of data from their multiple storage areas in response to a single cue. saying things aloud improves memory for them. This benefit, which we call the production effect, likely occurs by enhancing the distinctiveness of the things said aloud. simply alternating the room where a person studies improves retention Click to tweet. when the outside context is varied, the information is enriched, and this slows down forgetting. Where could you make your next study session? reward motivation promotes memory formation via dopamine release in the hippocampus prior to learning. daytime workouts, short afternoon naps, longer sleep hours, more time away from the office and longer, more frequent vacations – boosts productivity, job performance and, of course, health. Part 4. How Can You Stay MOTIVATED For Learning? Yes, rewarding yourself is important (see point above). However, avoid external rewards (money, prize, gifts) given by someone else. tangible rewards tend to have a substantially negative effect on intrinsic motivation (…) Even when tangible rewards are offered as indicators of good performance, they typically decrease intrinsic motivation for interesting activities. for routine tasks, which aren’t very interesting and don’t demand much creative thinking. He compared external rewards as a jolt of caffeine that can keep you cranking for a few more hours. diminish performance, crush creativity, crowd out good behavior, encourage cheating, become addictive, and foster short-term thinking. So if external rewards don’t work in the long run, what can you do? intrinsic motivation – or deep internal motivation – is much richer Click to tweet. For example, consider a teacher who is inspired by the growth of a student or a doctor who is driven by improving health. Intrinsic motivation stems from the meaningfulness of the work you do. You are driven by what you yearn to do even if there is no reward or compensation. Josh Waitzkin also has the same opinion. In my experience, successful people shoot for the stars, put their hearts on the line in every battle, and ultimately discover that the lessons learned from the pursuit of excellence mean much more than the immediate trophies and glory. If you want to invest a great 18 minutes, check out the video here. It’s a Ted Talk given by Dan Pink. In it, he talks about external rewards (see previous point) vs intrinsic motivators. Here are 2 quotes taken from this video. The secret to high performance isn’t rewards and punishments, but that unseen intrinsic drive – the drive to do things for their own sake. The drive to do things cause they matter. And now, here are a few quotes taken from this book, Drive, the surprising truth about what motivates us. Allow people to complete a task their own way. Think autonomy, not control. We should focus our efforts on creating environments for our innate psychological needs to flourish. Flow is the highest, most satisfying experiences in people’s lives. Mastery is a mindset: It requires the capacity to see your abilities not as finite, but as infinitely improvable. Satisfaction depends not merely on having goals, but on having the right goals. because people can contribute to the greater-good. People feel they can have an impact. So, find your strong reasons. The greater your reasons to learn something, the more motivated you’ll be. Ask yourself if you can connect what you’re about to learn to something bigger than yourself. Is it to inspire your children? Is it to inspire people in your family? How will it impact your life or the life of others? In the book Talent Code, author Daniel Coyle tells us that people, to feel motivated, need to be ignited by real stories. They need to believe that if others can do it, they can do it too. Ignition is about the set of signals and subconscious forces that create our identity; the moments that lead us to say that is who I want to be. when a twenty-year-old named Se Ri Pak won the McDonald’s LPGA Championship and became a national icon. Before her, no South Korean had succeeded in golf. Flash-forward to ten years later, and Pak’s countrywomen had essentially colonized the LPGA Tour, with forty-five players who collectively won about one-third of the events. Read about people who have done it before, blogs, images, podcast, interviews, question people. find somebody you want to be in two years, three years, five years, and stare at that person. See exactly what they’re doing, and steal that. Steal from them. Feeling stupid is no fun. But being willing to be stupid — in other words, being willing to risk the emotional pain of making mistakes – is absolutely essential, because reaching, failing, and reaching again is the way your brain grows and forms new connections. Learning something important to you is more important than what people think of you. So don’t say you’ll do 50 push-ups in 3 months. That’s overwhelming. Instead, try to do 5 push-ups every day, and increase to 50 eventually. Systems are easy and manageable tasks done every day. in the world of dieting, losing twenty pounds is a goal, but eating right is a system. In the exercise realm, running a marathon in under four hours is a goal, but exercising daily is a system. goal-oriented people exist in a state of continuous presuccess failure at best, and permanent failure at worst if things never work out. Systems people succeed every time they apply their systems, in the sense that they did what they intended to do. If you want to learn more about goals vs systems, check this excellent article by James Clear. Schedule most of the things you want to do in your week. I personally use Google Calendar. The more you plan your system and stick to it, the more you’ll learn and improve fast. Another way to look at ‘systems’ is to see them as routines or small wins performed throughout the day. a huge body of research has shown that small wins have enormous power, an influence disproportionate to the accomplishments of the victories themselves. it was best to concentrate on these tiny moments of success and build them into mental triggers. We worked them into a routine. There’s a series of things we do before every race that are designed to give Michael a sense of building victory. Do you find it hard to be motivated by yourself? You should join a group! people must believe change is possible. And most often, that belief only emerges with the help of a group. In fact, research from Harvard suggests that sleep plays an important role in memory, both before and after learning a new skill. Being chronically tired to the point of fatigue or exhaustion means that we are less likely to perform well. Neurons do not fire optimally, muscles are not rested, and the body’s organ systems are not synchronized. Try to keep a routine: at 10pm you take a warm shower, 10h05 you meditate or do light stretching, 10h15 you read 5 pages, 10h25 you close your eyes and sleep like a baby. Are you boosting your learning abilities/brain with exercise? Even walking has been proven to be beneficial for your brain. Walk or do cardio for 30 minutes at least three times a week. Are you boosting your learning abilities/brain with a good diet? Research by UCLA professor Fernando Gómez-Pinilla suggests that a healthy diet, particularly Omega-3 fatty acids, promote good brain function. dietary deficiency of omega-3 fatty acids in humans has been associated with increased risk of several mental disorders, including attention-deficit disorder, dyslexia, dementia, depression, bipolar disorder and schizophrenia. the effects of diet on mental health can be transmitted across generations. What’s a good diet for brain health? Yet, it’s useless to list all the damage it does to your body and to your life (when consumed in high dosage). But if you want to learn faster, you should consider a low sugar diet. adding omega-3 fatty acids to your meals can help minimize the damage. Still, I’m not a doctor. Consult yours before changing your actual diet. Did you know that your body is composed of 73% of water? So, based on that, do you think drinking water is good for you? Research suggests that staying well hydrated during an exam could boost your grades. Did you have your dose of caffeine this morning? Beyond that, research suggests it will boost your endurance. Numerous studies to date have shown that caffeine ingested prior to and during prolonged sub-maximal and high intensity exercise can improve performance. Are you boosting your learning abilities and brain with meditation? increases cortical thickness in the hippocampus, which governs learning and memory, and in certain areas of the brain that play roles in emotion regulation and self-referential processing. There were also decreases in brain cell volume in the amygdala, which is responsible for fear, anxiety, and stress. Other studies suggest that it improves concentration, focus, sleep patterns, recovery times, athletic endurance, it reduces anxiety, and can also help children at school. Can you guess what do these successful companies and people have in common? Headspace.com is a good application to help you start. You tried meditation (previous point) and it’s not working for you? You should then find other ways to calm your mind and body. chronic stress generates long-term changes in the brain that may explain why people suffering chronic stress are prone to mental problems such as anxiety and mood disorders. Want more ways to calm your mind? Julie Corliss from the Harvard Heart Letter suggests deep breathing, yoga, tai chi or even prayer. Or you could simply smile. Like mentioned earlier, you should start learning new skills with the rule of Two-Thirds and with the 80/20. However, if you want to be the best in your field, you should focus more and more on details. You should even change the way you live. If we have any hope of attaining excellence, let alone of showing what we’ve got under pressure, we have to be prepared by a lifestyle of reinforcement. Presence must be like breathing. See also: 10 Proven Ways To Grow Your Brain: Neurogenesis And Neuroplasticity. believe books brain calm diet education exercise knowledge learning mastery meditation mind motivational productivity purpose quotes simplicity sleep talent teach tips water work.